While there are an infinite number of potential designs for green roofs, there are two principal types:intensive and extensive. There is another type of green roof, known as ‘semi-intensive’, which lies somewhere between the intensive and extensive varieties. The difference between these types comes down to the depth of the material which is placed on the roof. The substrate depth of extensive green roofs is smaller than that found in intensive roofs, usually around 100-150mm. Given their relative shallowness, extensive green roofs usually serve aesthetic and environment purposes rather than functioning as accessible roof space. This type of green roof is far easier to install and requires significantly less maintenance than do intensive installations. It is therefore a highly versatile roofing material, suitable for new-builds and retro-fits alike. This is because the vegetation – usually in the form of mosses or grasses, or a combination of these – is pre-grown and rolled up in mats, which means that it’s easily transportable to the installation site. Extensive green roofs also require little or nothing in the way of structural work. They tend to be much cheaper to buy and install than the intensive variety. 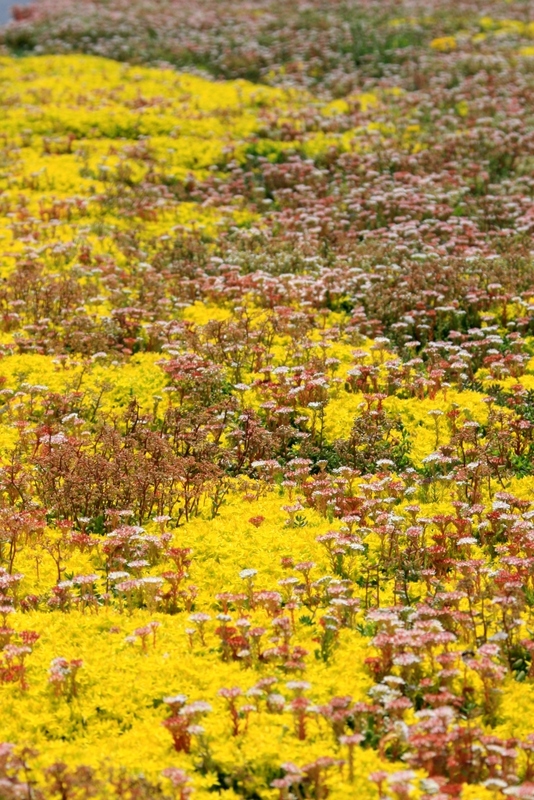 Extensive green roof installations often come ready-made in the form of mats containing 10-20mm of a growing medium and vegetation (known as sedum mats). These mats are usually laid upon another relatively shallow layer of growing medium, which is in turn placed on the filter sheet and protection mat. 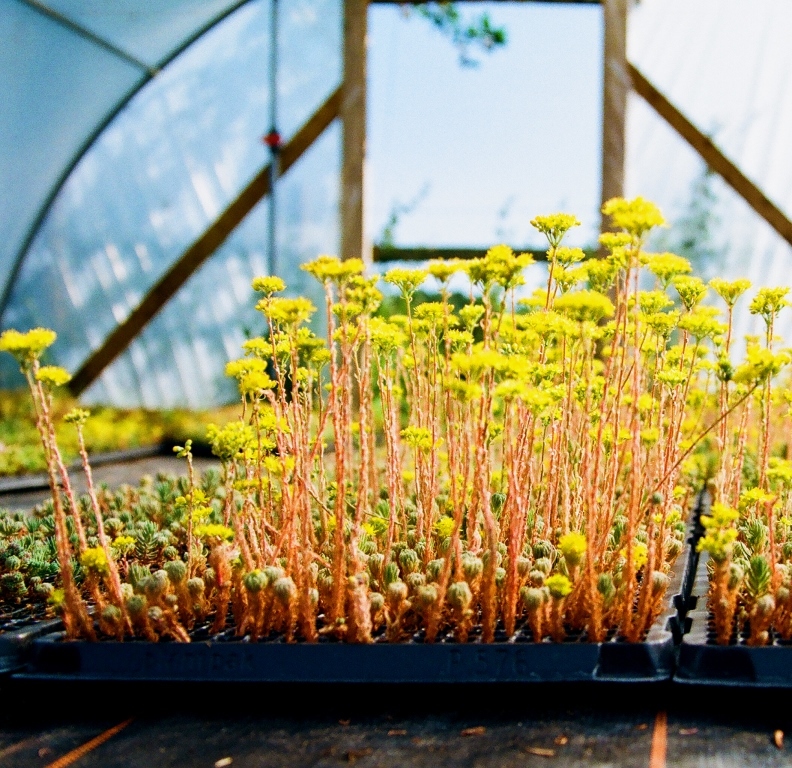 In the case of some very lightweight and shallow extensive roofs, it is possible to do without further growing medium, and lay a sedum mat directly upon the filter sheet and protection mat. Irrigation is much less likely to be necessary for this type of installation. It also possible (though slightly less common) to construct an extensive, substratum based roof, which uses a shallower depth of substrate than that typically found in intensive green roofs. Nonetheless, the range of vegetation that can be grown on extensive green roofs is smaller than that which is possible on intensive ones. 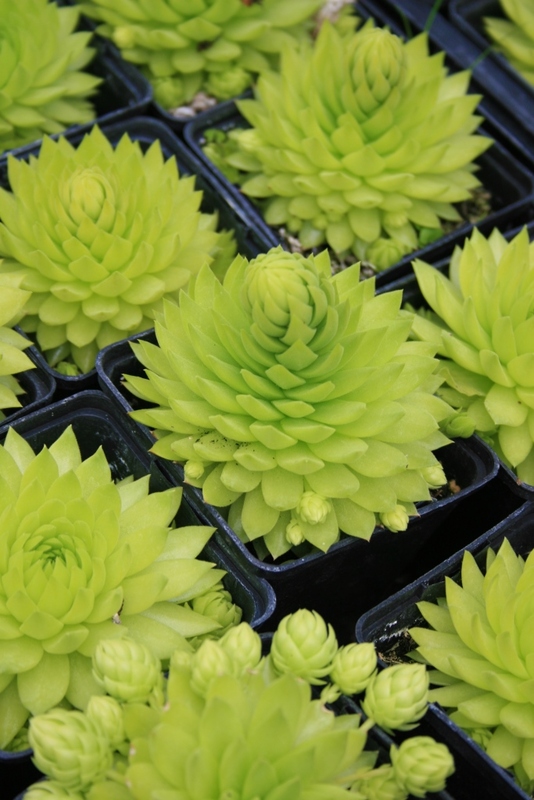 Another less common type of extensive green roof is known as plug planting, whereby seedlings are grown in cell trays containing a growing medium, which are then laid upon a further growing medium, a filter sheet and protection mats. 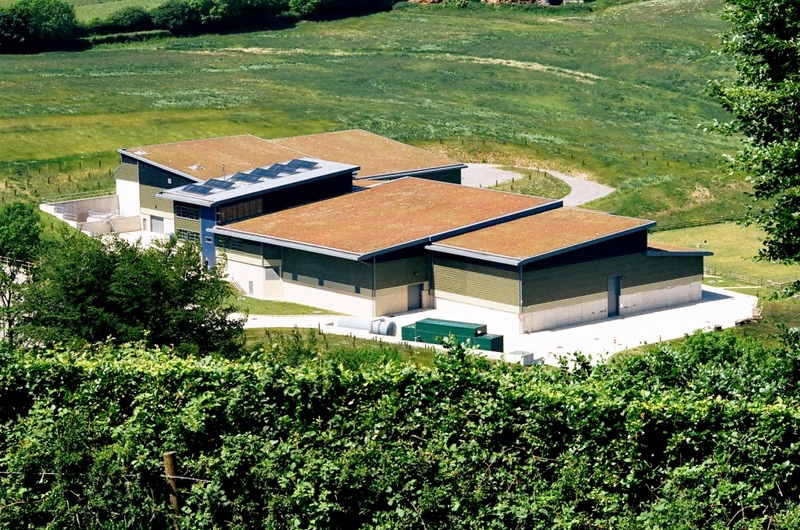 Extensive green roofs are also specifically engineered to be able to withstand adverse and extreme weather, especially wind, but also extreme high or low temperatures, drought and flooding. Another possibility with extensive roofs is to install what is known as a ‘biodiverse’ green roof, whereby the habitat of a given animal, bird or insect is reproduced. Biodiverse roofs can serve to recreate the habitats of rare and endangered species. This variety of green roof can include a larger range of different objects (sand, logs, rocks, etc.) being placed on the roof, and not simply uniform mats or plugs. Moreover, as there is more to intensive green roofs than extensive ones – in many cases they resemble conventional gardens – the maintenance and irrigation requirements are bound to be significant maintenance and the running costs will be higher. By the same token, however, intensive green roofs can have a higher aesthetic impact than extensive ones. Intensive roofs are best if your primary motive for installing a green roof is that of absorbing water and improving the roof’s lifespan – extensive roofs provide less cover from the elements.